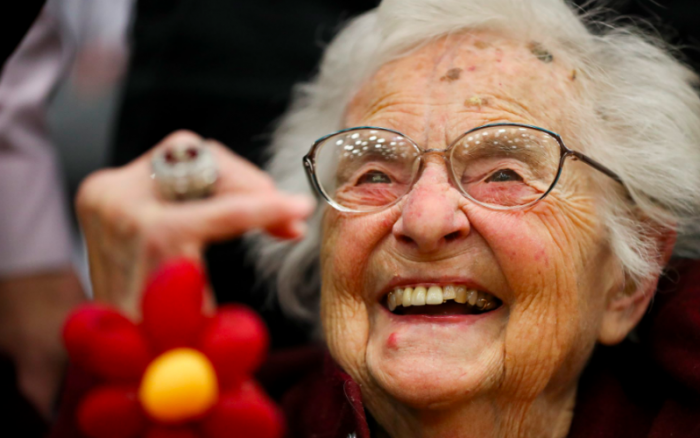 99-year-old Sister Jean Dolores Schmidt received a Final Four ring on Tuesday, Nov. 27 from the Loyola Ramblers men’s basketball team, which represents Loyola University Chicago. Sister Jean of the Sisters of Charity of the Blessed Virgin Mary (BVM) has been the chaplain of the team since 1994. 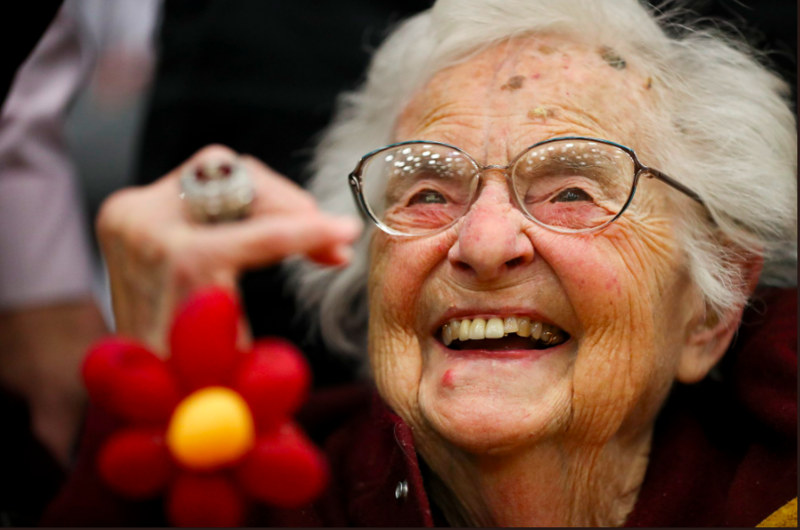 In a page dedicated to Sister Jean on the Loyola University website, it says Sister Jean dedicates herself “to Loyola’s student-athletes above and beyond just their spiritual health. “She believes athletics affords valuable lessons for young people about how to deal with adversity in life. “At Rambler home games, she can be seen working the crowd, encouraging school spirit and friendly competition, and leading the players in prayer before each game. The team gifted her with the Final Four ring before their game against the Nevada Wolf Pack. Please click here if you cannot see the video. 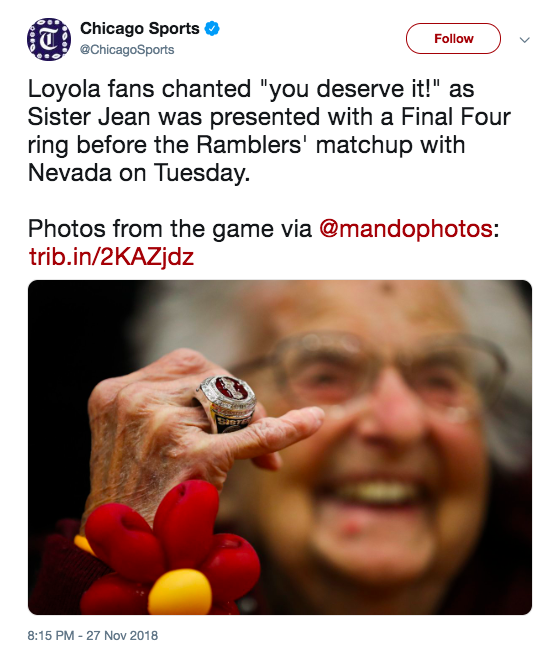 According to the Chicago Sports Twitter account, the audience chanted, “you deserve it!” while Sr. Jean received the ring. Here’s more pictures from this epic evening! 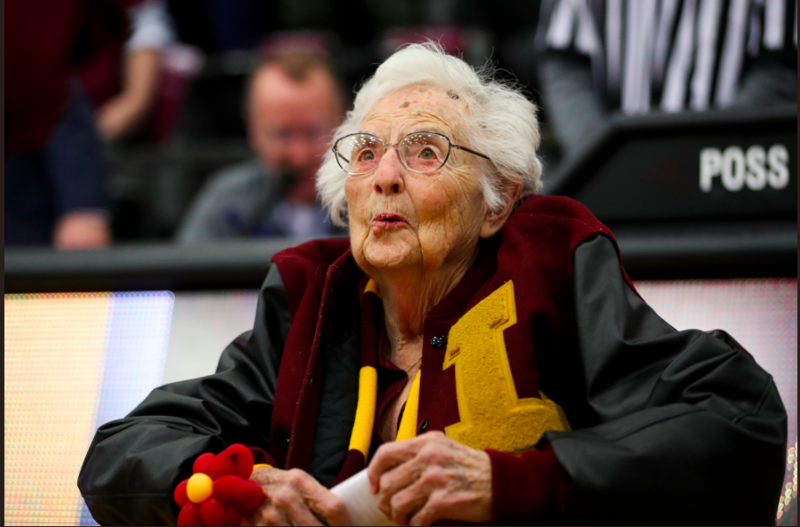 Sister Jean first received national recognition earlier this year when the Ramblers shot a three-pointer against Miami at the last second. What a beautiful and holy witness of faith! 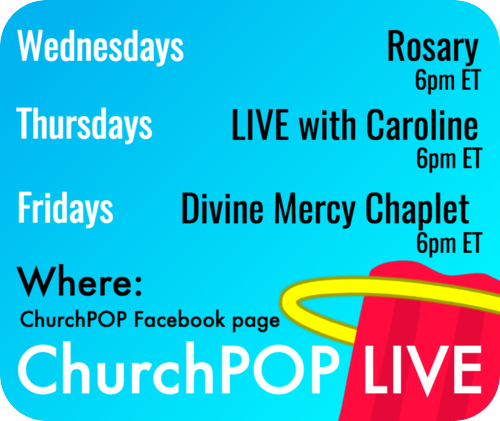 Thank you, Jesus, for her life!